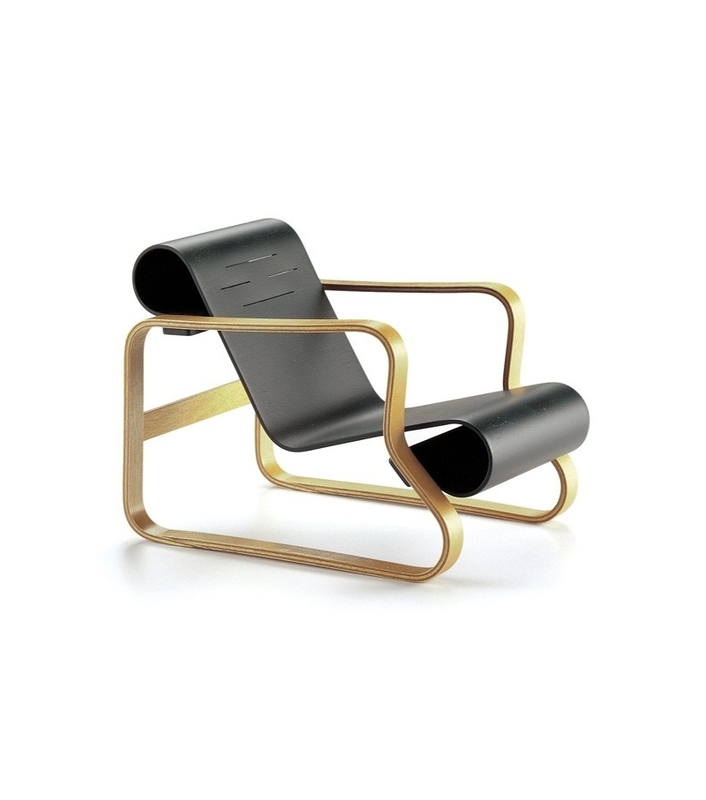 Vitra Miniatura Art.41 "Paimio", Aalto: The armchair is of a simple, highly effective construction, because the rolled-up ends of the seat and back also function as springs – affording the sitter a degree of comfort hitherto unknown in wooden furniture. The armchair was also exceptionally well suited for series production, as it involves very few components and thus little assembly work. 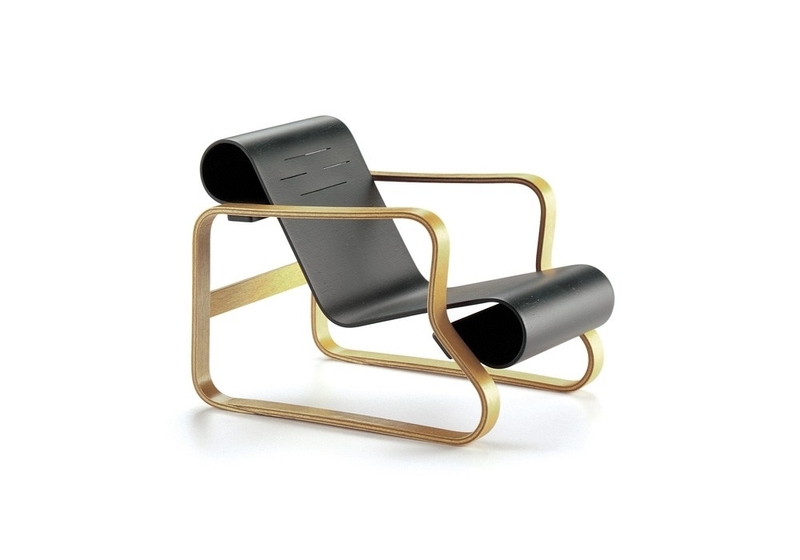 Vitra Miniatura Art.41 "Paimio", Aalto: In his designs, Alvar Aalto combines the functional ideas of the Bauhaus with the Scandinavian crafts tradition and a strong sense of unity with Nature. This led to an exchange of ideas with Marcel Breuer and later influenced the work of both men. 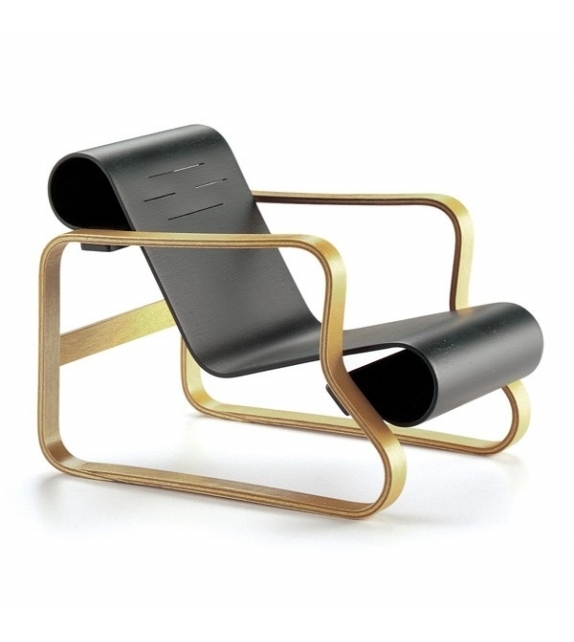 Aalto designed Armchair No. 41 for the Sanatorium of the City of Paimio in Finland, a building for which he also created the plans and interior design. The armchair is of a simple, highly effective construction, because the rolled-up ends of the seat and back also function as springs – affording the sitter a degree of comfort hitherto unknown in wooden furniture. The armchair was also exceptionally well suited for series production, as it involves very few components and thus little assembly work. Plywood seat, laminated frame, lacquered. Made in Poland.